Our Mud Buckets are engineered to work harder for you. They move more earth so you get your job done faster. The Mud Bucket is designed for bulk loading trucks with loose aerated material, finishing and levelling ground and transporting other attachments around the worksite. 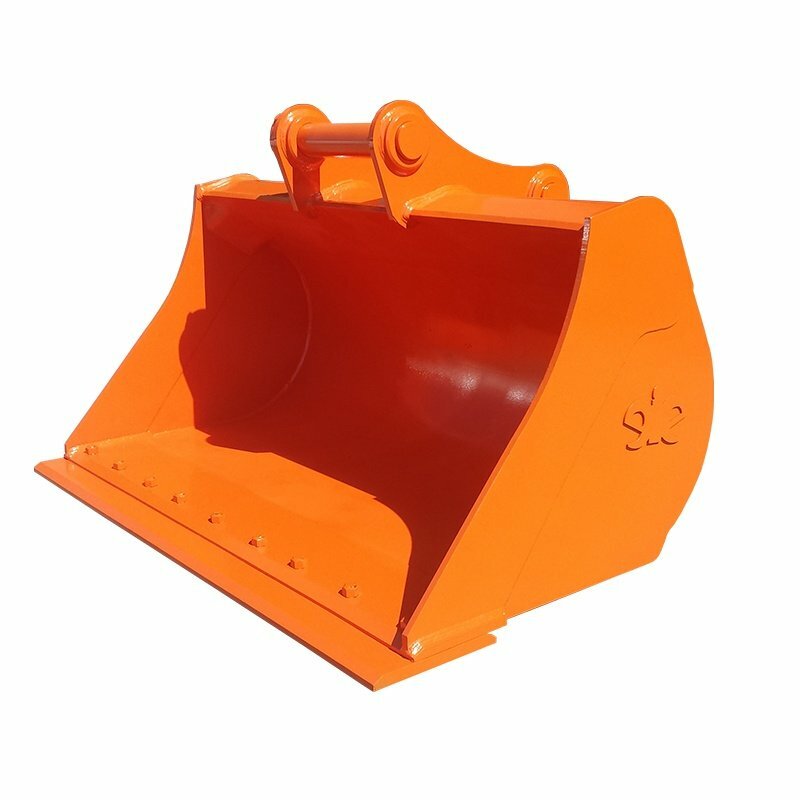 The Mud Bucket is designed to work to the excavator’s maximum safe working load. The weld-in lip or cutting edge, is reinforced by a heavy duty bolt-on-edge to ensure the bucket lip remains straight and to protect it against excessive wear. eiengineering Mud Buckets are the hardest working on the market and an asset to any earthmoving operation. Ideal for ditch cleaning, digging of low-density material, general clean up and bulk loading. They consistently outperform in all applications. Double Bucket Back Plate – The strongest backbone of any Mud Bucket gives longer bucket life and reduced maintenance and replacement costs. Longer Bucket Hanger Plates – Extend down around the back plate for more strength and explosive power. eie80 Grade Construction – Makes buckets 3 times stronger than mild steel while minimising bucket weight. This reduces lifetime servicing costs and is built to outlast your excavator’s life. Heavy Duty Torsion Top Box – Evenly distributes digging force through the bucket and also allows the bucket to withstand the constant dynamic and torsional loading. Note: Bucket pins and bolt-on edges to protect the edge from premature wear come standard with all deliveries.